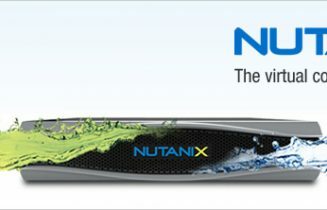 Nutanix is an enterprise storage company.The Nutanix Virtual Computing Platform converges compute and storage into a single system, eliminating the need for traditional storage arrays. Each Nutanix node runs an industry-standard hypervisor and a Nutanix controller VM, which handles all I/O operations for the local hypervisor. Storage resources are exposed to the hypervisor through traditional interfaces, and are pooled and made available to all VMs. The convergence of compute and storage into a single appliance provides a flexible, scalable building block for the modern datacenter. In this video Citrix Technology Professional (CTP), Alexander Ervik Johnsen, of www.ervik.as demos how easy it is to go from 0(zero) to 50 new Citrix XenApp 7.6 Virtual Machines with Machine Creation Services(MCS), on a Nutanix NX 3060 Cluster. The Nutanix Block is running on VMware vSphere(esxi) 5.5 hypervisor.